A fundraising plan contains the fundraising activities your organization will implement over a set period of time. These activities will have specific, measurable goals. The end result will be a sustainable fundraising program that provides the necessary funds to fulfill the nonprofit organization’s mission. The fundraising plan is a powerful tool for any nonprofit. The fundraising plan is, however, the last in a series of documents a nonprofit should have in place in order to successfully raise money. The additional documents will make the implementation of the fundraising plan more efficient. 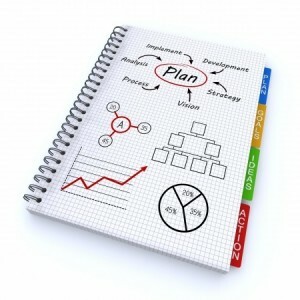 Every organization should have a strategic plan that has been crafted and approved by the board of directors. The strategic plan provides direction for the entire organization. The plan will delineate the programs, new and expanded, that will need funding, as well as operational needs. On a personal note, I have always preferred a rolling strategic plan. A rolling plan is a three year plan that is reviewed and updated following the first year of implementation and then is extended out one more year. The rolling strategic plan is therefore always a three year plan moving forward. The time spent creating the first plan can be laborious, but makes keeping it up-to-date much easier. With a strategic plan in place, a case for support, or case statement, should be written. In other words, before deciding what fundraising activities need to be implemented, a clear understanding of why any individual or entity should support your organization needs to be developed. What resources will be required to solve the problem. The case will be the basis of the fundraising plan, appeal letters, grants, campaigns, and brochures. Like the strategic plan, the case for support should have full board approval. What if your organization does not have a strategic plan from which to develop your case for support? Many development officers have been faced with that dilemma. In speaking with staff and board members, the development officer can obtain an understanding of the direction and hopes of the organization and develop the case for support. The case will be the organization’s guideline and will necessitate buy-in from the various stakeholders. Although not as well developed as a strategic plan, this process will allow any development officer to move forward and write a fundraising plan. Many organizations have been caught off guard when a donor wants to make a gift with strings attached or a gift that is not in sync with the organization’s mission. A gift acceptance policy will provide guidelines as to what types of gifts the organization will accept and under what circumstances. For example, I taught a workshop where the executive director of a zoo commented that an elderly donor wanted to donate a very valuable cello to the zoo. A cello is obviously not an item the zoo could use. The zoo had a gift acceptance policy in place and explained to the donor that in accordance with their policy they would immediately sell the cello and use the proceeds for the zoo’s mission. The donor was in agreement. She wanted to do something for the zoo and this was an asset she had and the zoo could turn into cash. This policy does not just relate to donor walls or plaques. A donor recognition policy clearly states how each donor will be recognized and thanked for their charitable contribution. A policy will most often break donors down into size of gift. For example, donations of less than $100 might receive the standard thank you letter and donations between $100 and $500 might receive the standard thank you letter and also be listed in the organization newsletter. Being very clear about how different levels of gifts, including events, memberships, and in-kind will be recognized, can save the organization a great deal of angst. While developing these plans and documents it is important to include your board of directors in the process. Board members are often out in the community securing donations of various kinds, they need to be aware of what is or is not acceptable, but ultimately you must have board approval to enact these plans and policies. Donor management policies and procedures are for internal use by staff and do not require board approval. With staff turnover, the donor management policies and procedures will help an organization maintain consistent data. Having consistency in how information is collected and recorded in your donor management database will save the organization time and money over the years. If everyone who uses the database is managing the information in accordance with the donor management policies and procedures, preparing reports and mailings will be much easier. In the development of the strategic plan and the case for support, the staff and board have created definitive dollar goals and a sense of where the organization needs to concentrate its fundraising efforts. The next step is to write the fundraising plan. Part 2 of our series for writing a fundraising plan will discuss important fundraising activities to raise money in your community.